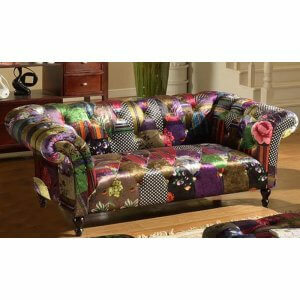 •	Classic Chesterfield design with an added 'wow' factor showcased by a vibrant selection of patchwork patterns •	Elegant scroll arms •	Foam filled backs and pocket sprung seating ensuring a supportive and comfortable sit. 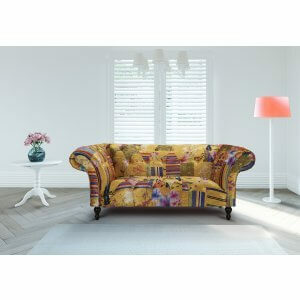 •	Crafted in luxury fabric to create sofas of exceptional beauty. 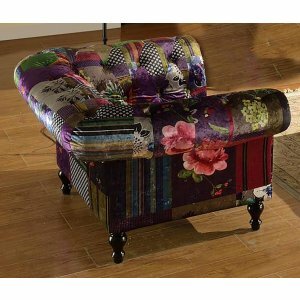 •	Buttoning on the seating section and also deep chesterfield buttoning to the back section. 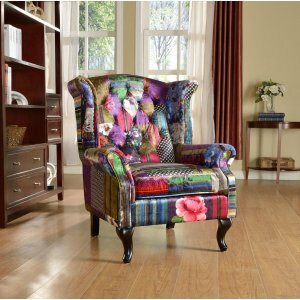 •	Due to the nature of patchwork, the item delivered will differ from item shown in the picture, but will have the same pattern as a variant. •	Hardwood frame providing great support. •	Fully compliant with UK fire regulations. 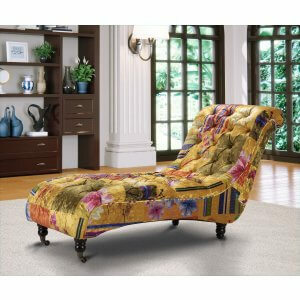 Chaise lounge •	This strong and sturdy chaise lounge is fabricated with a hardwood frame and pocket sprung seats. 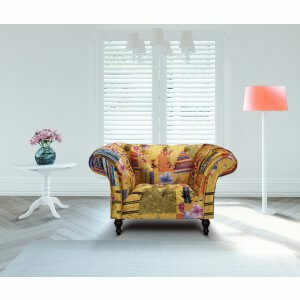 •	Exceptional level of comfort, making it easier for you to unwind in the surroundings of your home. 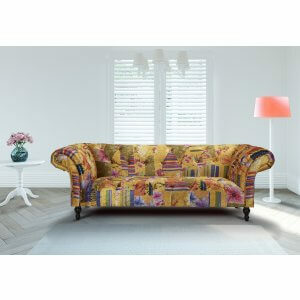 •	Crafted in luxury fabric to create sofas of exceptional beauty. •	Deep chesterfield buttoning on the back section. 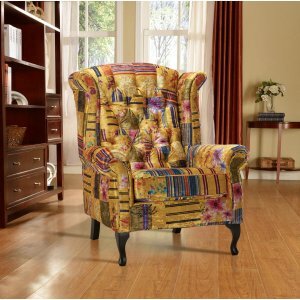 •	Please note that due to the nature of patchwork, the item delivered will differ from item shown in the picture but will have the same pattern as a variant. •	Hardwood frame providing great support. •	Fully compliant with UK fire regulations.